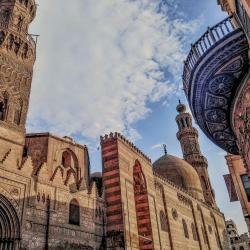 Looking for hotels near Coptic Museum? Enjoying impressive views of Cairo’s skyline and the Pyramids, The Four Seasons Hotel in Cairo’s Gizah district features a full-service spa and outdoor pool. The Nile River is just 328 feet away. 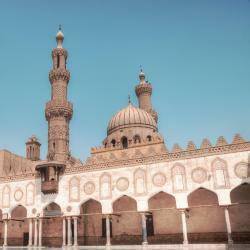 Located in Cairo, 1.2 miles from Tahrir Square, Nile Meridien Hotel has air-conditioned rooms with free WiFi. Featuring free shuttle service, this property also provides guests with a restaurant. Located in Cairo within 2.6 miles of Cairo Tower and 3 miles of Tahrir Square, Nile star suites & Apt provides accommodations with free WiFi, a flat-screen TV and a kitchen. Cairo-Al Fostat Guesthouse is located in Cairo. 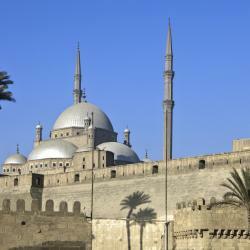 The property is 2.8 miles from Cairo Citadel. 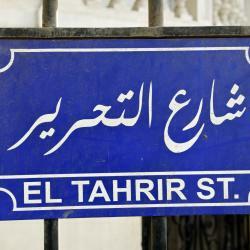 Tahrir Hostel is located in Cairo, a 5-minute walk from Tahrir Square. 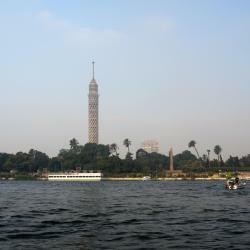 One mile from The Egyptian Museum and 1.1 miles from Cairo Tower, the property provides a terrace and a shared lounge. Located across the street from the Pyramids & the Great Sphinx Entrance Gate, Giza Pyramids Inn features air-conditioned rooms with free WiFi throughout the property. everything about this hotel was amazing. 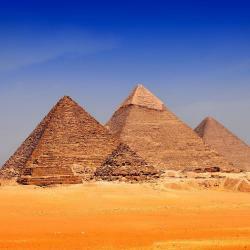 the location is a 30 second walk from the pyramids. 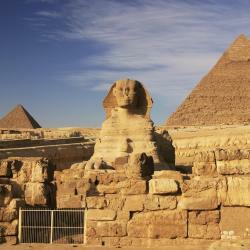 Pyramids village inn is located in Cairo, an 8-minute walk from Great Sphinx. Featuring a terrace, the 3-star hotel has air-conditioned rooms with free WiFi, each with a private bathroom. As an American visiting Egypt for the first time, we were very nervous about what to expect.. Located in Cairo’s affluent Garden City district, Kempinski Hotel offers luxurious rooms on the shores of the Nile River. It features a wellness center and a rooftop swimming pool. The service was superb and the hotel is amazingly beautiful and clean. Sofitel El Gezirah is a 5-star luxury hotel with a private promenade along the Nile. Fantastic view from the room, excellent customer service, great food! Located next to Citystars shopping mall, this luxury hotel has large outdoor swimming pool and 10 varied restaurants. Professional staffs and what a luxurious services. Rooms are very clean and food is very tasty. A 10-minute walk from the Nile River embankment, Safir hotel in the center of Cairo offers luxurious rooms with balconies. It features an outdoor pool, gym and free Wi-Fi in public areas. Excellent service, fantastic meals and very pleasant staff. Looking forward to my next stay there. Located in Cairo, Hayat pyramids view hotel features accommodations with private terraces. 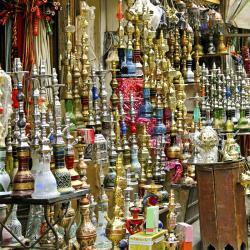 Located in the Giza district, the property provides guests with access to a restaurant. I loved the location and view of the pyramids. Down Town Hotel Cairo is the first ecological hotel in Cairo, built from sustainable resources -local stone and designed to better blend in with their environment. Family owned. Good location in downtown. Newly opened. Very friendly people. Highly recommended. 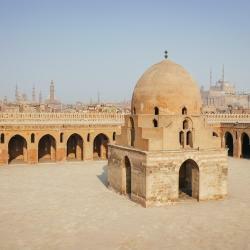 Hotels with great access to Coptic Museum! Located in Cairo, 1476 feet from Tahrir Square, Tahrir Plaza Suites offers accommodations with a shared lounge. 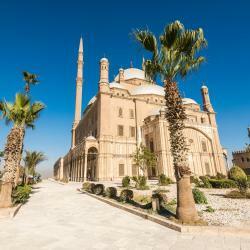 The property is around 0.9 mi from Cairo Tower and 164 feet from The Egyptian Museum. The bed was a dream! The food was excellent. Overlooking the Great Pyramids of Giza, Marriott Mena House, Cairo is surrounded by 40 acres of green gardens and has a spa, fitness center and a pool. The location is very good, the property is very well kept and staff extremely helpful. Set within 1969 ft from The Egyptian Museum in Cairo, Valencia Hotel offers air-conditioned rooms with free Wi-Fi and views of the city. There is a bar and a shared lounge. I had a wonderful time at Valencia Hotel. 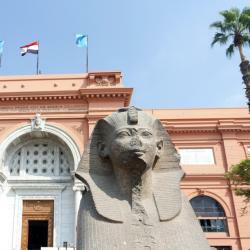 Located in Downtown Cairo, Osiris Hotel is just a 1640 feet walk from the Egyptian Museum. It offers free Wi-Fi in public areas and a roof-top terrace that offers views of downtown Cairo. Let me start by saying that if I ever go back to Cairo, I will always want to be at this facility.